Keep an eye on our calendar. We publish everything on facebook. Did you ride when you were younger? Would you love to get back in the saddle? Or did you always want to learn to ride? Well it’s never too late. Your time is NOW. Come to our Adults Open Evening. Meet the horses, jump on one for a try out, have a beer and chat with us. Then join our friendly team for hacks and lessons! PONY CLUB days vary each week across the summer. The next one is TUESDAY 4th July. 10 am – 4 pm. 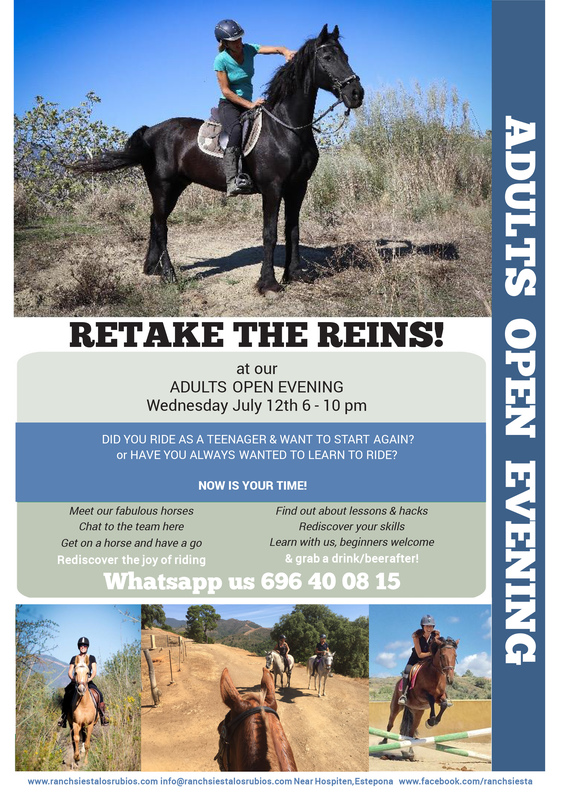 Suitable for 7 – 14 year olds at any level of riding. Please BOOK your place by Sunday pm. Please send them with sunscreen, water and lunches. We will do the rest! Our Mums & Tots hour is usually on a Friday but please check times in the summer as we don’t run if it’s too hot for the little ones.